The beautiful Knights Ferry Recreation Area provides a place to hike, sightsee, splash, and learn. Knights Ferry is an incredibly popular place for mellow river rafting trips. These trips are great for all ages! 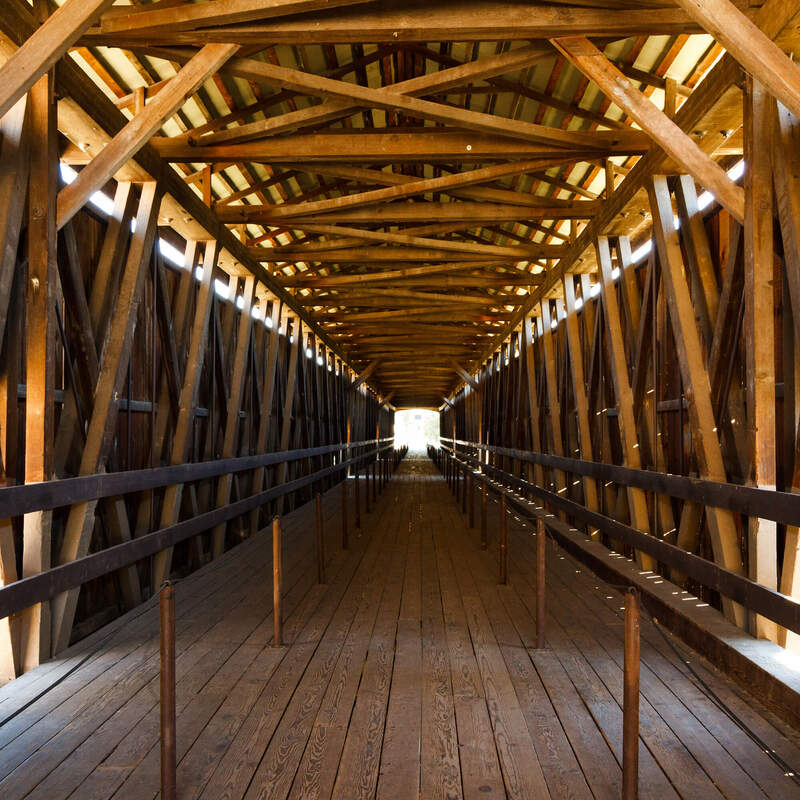 Knights Ferry has a number of sites to check out around town, so read more to see where to head first! 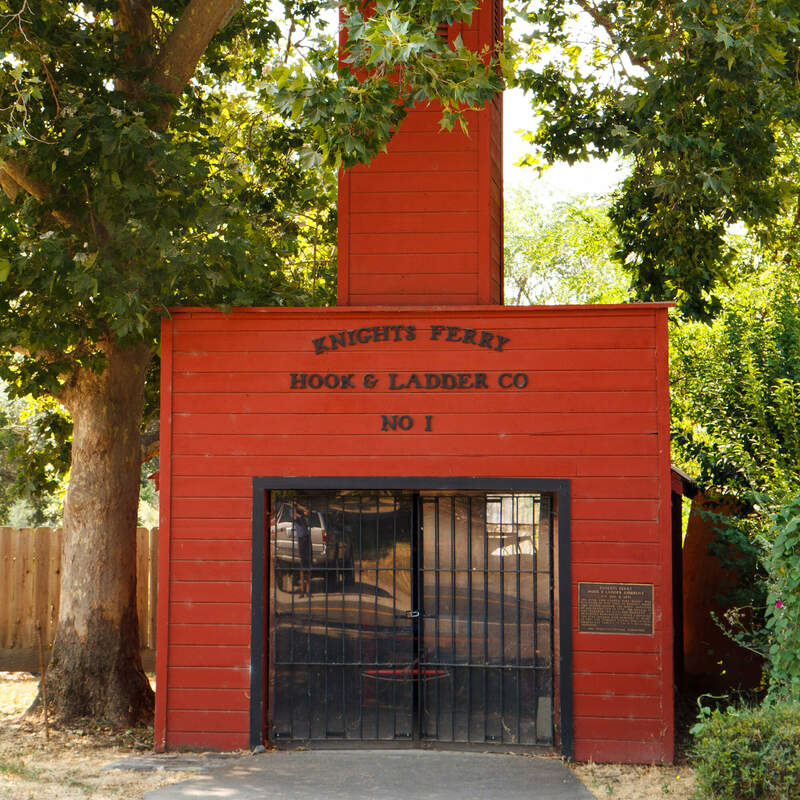 Rustic Knights Ferry, California was originally founded in 1848. 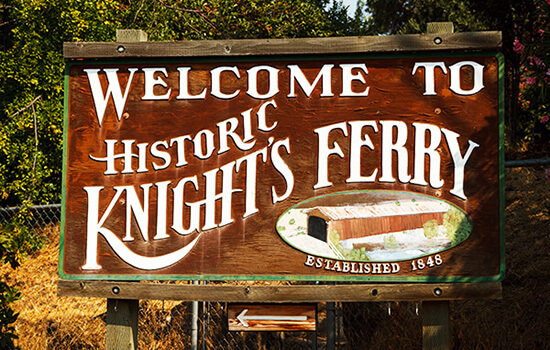 Founded by Dr. William Knight, and originally founded as a ferry-ing stop for those seeking gold, the town of Knights Ferry transitioned from gold rush town, to industrial area (you can still see the flour mill) to a haven for those seeking outdoor recreation. 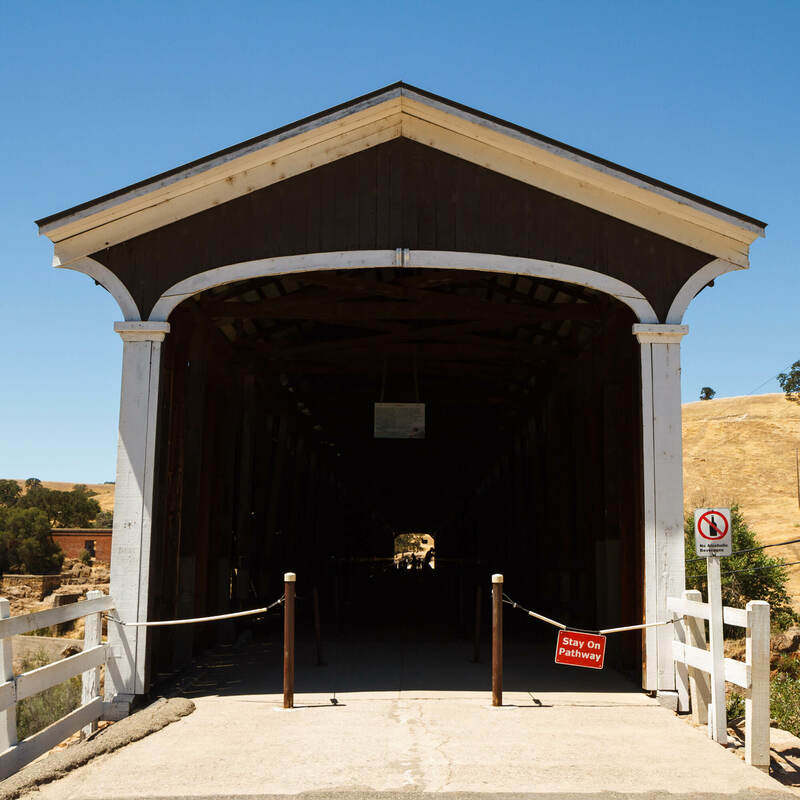 Now, the town of Knights Ferry is perhaps best known for the Covered Bridge, the longest covered bridge west of the Mississippi. 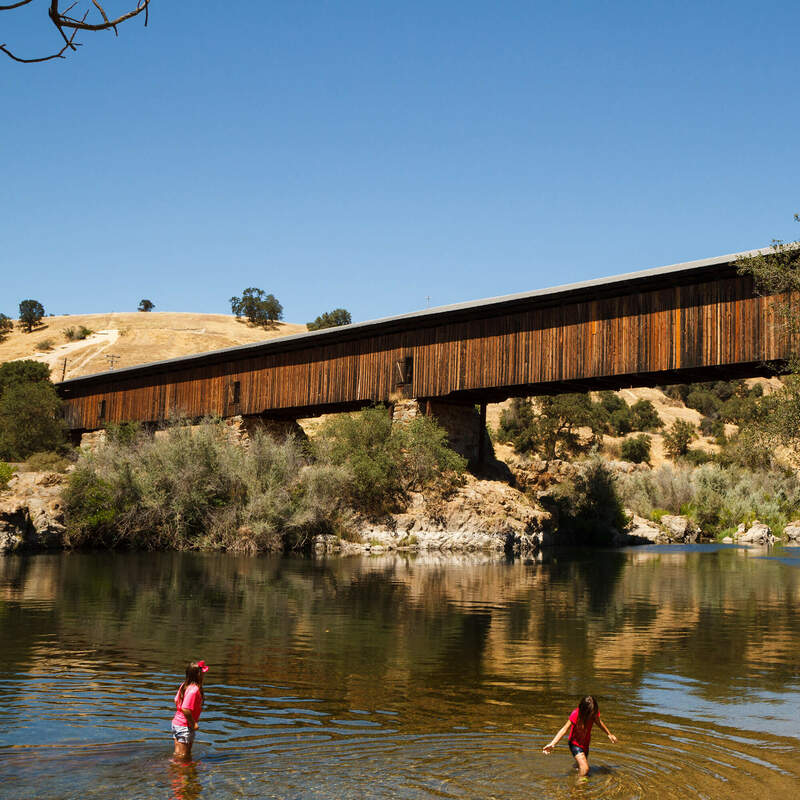 Knights Ferry also, however, is home to wonderful hiking trails, is the starting point to one of the most popular rafting runs in Northern California, and is home to a number of small businesses that give visitors a nostalgic glimpse into the past! Vendors bring new and old wares to the Covered Bridge Area. Feel free to poke around, check out unique offerings and great snacks at the Knights Ferry Peddler’s Faire! Rafting season kicks off in Knights Ferry! Call Sunshine Rafting at 209-848-4800 to get info on specials during the rafting launch event! Come wrap up the Halloween season in Knights Ferry! This kid-friendly event contains crafts, food, games, and culminates with a pumpkin roll at noon!